Floor Sanding Services in Sheffield, Derby, Barnsley, Chesterfield and Nottingham. 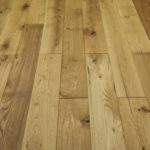 Williams Floor Restoration specialize in the floor sanding and sealing of all types of wooden floors, Oak, Pine, Maple, Beech, Bamboo, Mahogany, old and new floor boards and Parquet flooring. Our highly skilled dedicated team sand your floors using the latest and most advanced 98% dust free ” continuous belt ” Floor sanding machines, to ensure a clean and healthy environment for your home or business. We source the best materials available and the most durable finishing products on the market, to protect and enhance the appearance of your wooden floor. Our services include; floor sanding, floor sealing, staining, colour matching, gap filling, hearth removal, floor board replacement and repairs. Wood flooring can enhance the beauty of any room, as well as providing lasting beauty for many generations to come. 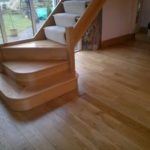 We recognize and appreciate the benefits a stunning wood floor can bring to your environment, which is why our floor sanding and restoration work is carried out to the highest standards possible. We ensure all our customers receive a friendly, courteous and highly professional service which will exceed their expectations. We welcome enquiries from domestic, commercial and leisure customers from all areas of Sheffield, York, Nottingham, Barnsley, Doncaster, Harrogate, Leeds, Wakefield, Rotherham, Chesterfield, Derby, Matlock, Bakewell, Selby, Wetherby ,Mansfield- all areas in Yorkshire, Derbyshire and Nottinghamshire. Is your floor looking dull and dingy? Have the colours dimmed through the passage of time? Our highly skilled local craftsmen will restore your floor back to it’s original beauty! 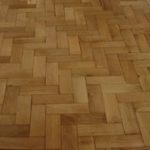 We provide a complete Floor Restoration service, cleaning, diamond grinding,crystallization,honing, polishing and sealing for all types of natural and man made hard flooring including: Yorkshire Stone, Limestone, Sandstone, Travertine, Slate, Marble, Granite, Ceramic, Quarry tiles, Terracotta tiles, and Karndean. We are committed to utilizing the most suitable, top quality products on the market to care for your floor and bring the natural beauty back to life and ensure it keeps it’s beautiful new look for many years to come. We welcome enquiries from domestic, commercial and leisure customers, from all areas of York, Nottingham, Sheffield, Chesterfield, Rotherham, Barnsley, Doncaster, Bakewell, Matlock, Leeds, York,Harrogate, Selby,Wetherby, Wakefield,Mansfield,Derby – all areas of Yorkshire, Derbyshire and Nottinghamshire. For your free Quotation on Floor Restoration call us now on 01709 549873.